Sweet Marjoram Essential Oil has a soothing and calming effect on the nervous system, making it useful for anxiety and stress. It has a warming and comforting effect on the heart. Sweet Marjoram Essential Oil has a soothing and calming effect on the nervous system, making it useful for anxiety and stress. It has a warming and comforting effect on the heart. Its warming properties also make it useful for massage oils especially for muscular aches and pains. 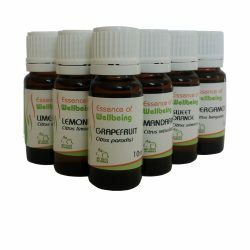 It is useful for respiratory complaints and stimulates the digestion. Marjoram is a bushy perennial herb with oval leaves and small whitish flowers, all of which are aromatic. The name originates from the Greek meaning “joy of the mountains”. It was used by the ancient Greeks in perfumes, cosmetics and medicines. It is also a traditionally culinary herb. Cautions Should not be used in pregnancy.